I mean, I don’t avoid every crack but if that shaker goes down, I will be tossing some salt over my shoulder. To Piggy Back on yesterday’s post, I’m going to talk about another animal who gets a bad wrap. I for one have always been a fan of Black Cats. I find them so beautiful and mysterious. I would love if I could get one some day. …if a Black Cat crosses your path…LOOK OUT! In Western cultures, Black Cats are seen in a negative light. They’re seen as a symbol of Evil Omens. They’ve been closely associated with witchcraft, and thus many Europeans consider them as a symbol of Bad Luck. Bringing us back to if one crosses your path, it’s seen as an omen of misfortune and death. Synchronously, in Germany it all depends on which direction that Black Cat is crossing from. If a Black Cat crosses from right to left, it’s Bad Luck. But from left to right, its Good Luck, the cat is granting favorable times. Superstitions in America started around the time the Pilgrims arrived at Plymouth Rock. Pilgrims were very devote and were strictly against anything even remotely connected to Satan. The Black Cat was viewed as part demon, part sorcery and seen as closely related to witches. Thus, anyone caught with a Black Cat would be severely punished. But like the Bat, not all cultures see Black Cats as bad. Sailors on long voyages wanted their Ship’s Cat to be a Black Cat because they would bring Good Luck. While in the United Kingdom, seeing a Black Cat cross your path is a Good Omen. It’s also Good Luck to see a Black Cat walking towards you but if the cat walks away, he takes the Good Luck with him. A Black Cat is also seen as Good Luck in Japan. 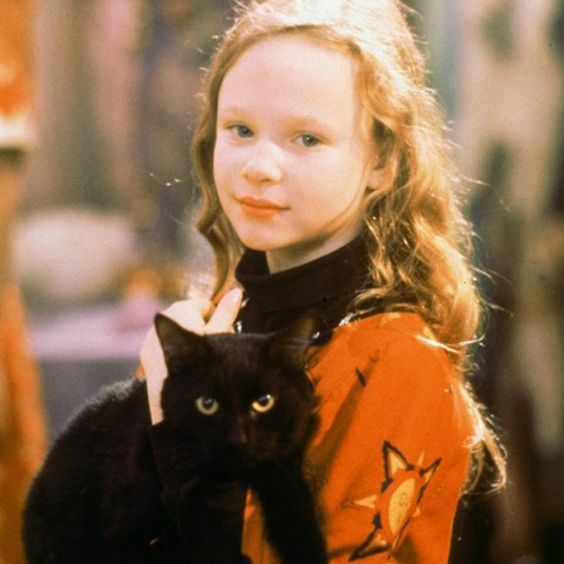 Two of the most famous Black Cats from popular culture have to do with witchcraft. Binx is the Black Cat from Hocus Pocus. She was living in florida and she came up north for a visit we had went oit that night and we were leaving the bar a black cat looked at her for about 3 minutes and when she got home she had nothing but bad news. And it was nothing but bad luck for her. don’t know if it was a omen or just circumstancesend at the time. I guess it’s just up to the person. Anyway love the post.